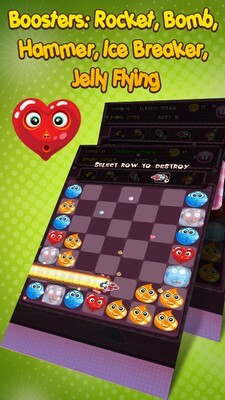 [GAME][FREE] Jelly Pop – The amazing match-2 puzzle game! 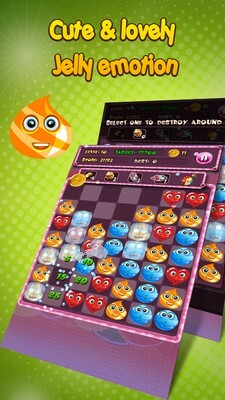 Jelly Pop – The amazing match-2 puzzle game with coolest Jelly emotion! Enjoy the game, get new records & best position on Global leader board now! Your mission is matching two or more same cute Jelly to make them burst. The more items you match, the more scores you have. With 3 game modes, lovely & cute sweet world, worldwide leader board, amazing effects & animation, the boosters to help you collect special gifts… Jelly Pop is so interesting for you to enjoy! ✔ 3 game modes: Easy, Medium, and Hard. This game easy to start but hard to master! 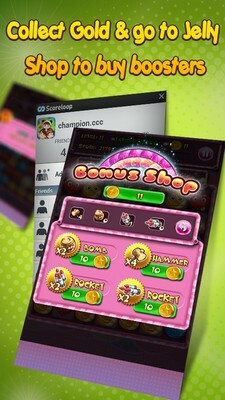 ✔ The boosters include Bomb, Hammer, Rocket to help you get more scores and collect special objects. ✔Global leader board to rank with other players on community in 3 modes. Try to play & get top position worldwide! 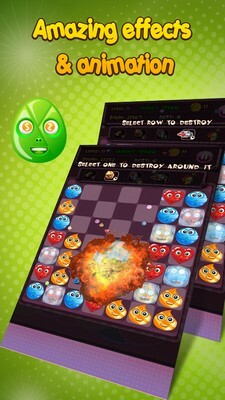 ✔ Gameplay is in endless style so you must try to pass as many levels as possible. ✔View your position on Global Leader board for 3 mode Easy, Medium & Hard separately. This game is free now and forever. We have added banner & interstitial ads from Admob to earn some cents. Please understand this. Thanks for your supporting. Play this free game today and get new record on leader board! **Hope to receive your support. If you rate & comment this game, please leave your name here. I would do the same for you. Thanks in advanced! Hope you enjoy playing game! 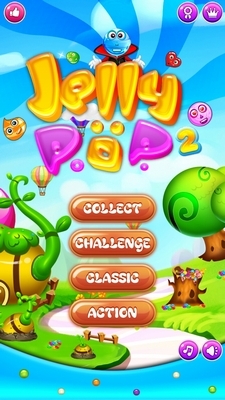 Hi friends, this video show the main features and gameplay of Jelly Pop. 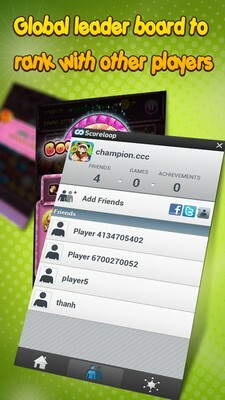 We're very happy that Jelly Pop have lots of good comments and reviews from the community. This motivate us to make version 2 of the game which new game modes, deluxe graphics, new characters and lots of spectacular features. 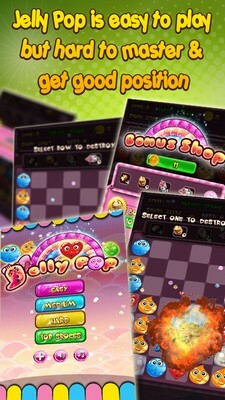 We're working hard to release Jelly Pop 2 soon. Are you ready for the unlimited joy and fun through the colorful candy land?